Discussion in 'Visual Arts' started by AKA, Feb 10, 2019. Jerry Horne, seed_drill, MikaelaArsenault and 1 other person like this. Man, I dunno. I would be surprised if this thing is a massive hit. I could see it doing "OK," but at some point, the audience is going to get tired (and pissed-off) at the endless remakes. andrewskyDE, seed_drill, MikaelaArsenault and 1 other person like this. I think this the best idea Disney has had in a long time. I don't consider a live action version of a cartoon a remake any more than I consider a filmed version of a book a "remake," because the medium is so different. I don't think anyone calls the stage version of "The Lion King" a "remake." However I consider 52 superhero movies with the same "Shiny thingee" or "galactic bad guy threat" plot to be remakes. andrewskyDE, MikaelaArsenault and Chris DeVoe like this. The only thing that might make it succeed is Will Smith as the genie, but otherwise I don’t see being massive. andrewskyDE and Ghostworld like this. Will Smith Will-Smithing all over this is just painful. He's doing the same level of acting that he was doing in 1996 for Independence Day and that so does not work in the context of Aladdin. longdist01 and MikaelaArsenault like this. Kevin In Choconut Center, seed_drill, Strat-Mangler and 5 others like this. Yeah, I’m not particularly excited about this one, but I’m not ready to call it terrible based on a short teaser. I am looking forward to Dumbo and The Lion King, though. will smith's Cgi looks rubbish also the one the picked for jafar looks too young! 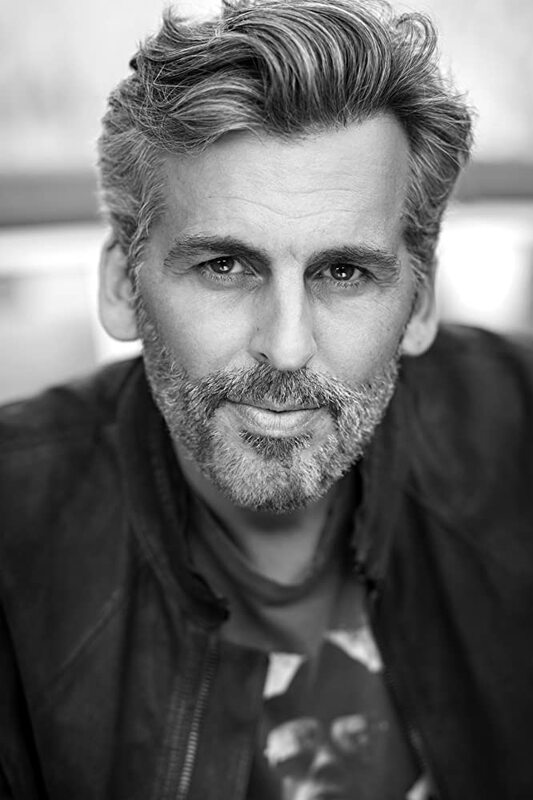 I would have gone for Oded Fehr ! I'm leaning towards "stinkeroo" on this one. No Robin Williams = no sale. andrewskyDE, Jerry Horne, MikaelaArsenault and 2 others like this. Seriously, it looks like a parody that would air on SNL or In Living Colour. MikaelaArsenault and Strat-Mangler like this. I don’t think he was available. andrewskyDE, MikaelaArsenault, Strat-Mangler and 4 others like this. I've never watched the cartoon Aladdin because I found the clips of a manic Robin Williams doing random, unrelated schtick incredibly annoying. This is a classic children's story and deserves better than being a vehicle for a latter day tummler. Totally agree on this. They have the ability to make live-action films of stories that previously could only be done with animation - so why not? If they ever get to the point of actually making a superhero movie every single week I might agree with you. In the meantime, I'm amazed that people can completely write a film off based upon one line of dialogue. MikaelaArsenault and BeatleJWOL like this. What movie got written off in that way? All I can figure is that none of those people of actually looked at an IMDb showtimes listing in years. Vickie has seen fifty films so far this year, and I think one has been a superhero film. Aladdin in this thread. Based on a single line by Will Smith. MikaelaArsenault and Ghostworld like this. What's the line? I didn't see anyone mention it. "Do you really not know who I am?" I may be slightly paraphrasing, but that was it. A giant blue Will Smith pops out of the lamp and asks that question. I much preferred Robin Williams when he was being a serious actor rather than doing the manic coked-up stream of consciousness stuff he usually did. And this article from Inverse asks the question, "Could 'Aladdin' Be the Most Uncanny Valley Movie of the Year?" From first glance: it does look bad, bad, bad. If the rising tide of public opinion goes against the film -- which happens very quickly these days -- it's gonna be a tough battle to make this movie a hit. I'm skeptical: this has already been a hit cartoon feature, a huge hit Broadway play, and now -- only 27 years after the Robin Williams' original film was released -- we have a live action film remake. Maybe that's going to the creative well once too often. It's a folk tale hundreds of years old. Any specific reason it shouldn't be made as a live action movie? MikaelaArsenault, BeatleJWOL and Ghostworld like this. What a bunch of stupid comments from nobodies. The classic “oh, I need to wash my eyes!” 15-year-old attitude. Zzzz.